In a nutshell can you explain your Yoga Detour? Yoga Detour fills the gaps left by conventional approaches to education and training in the yoga community. 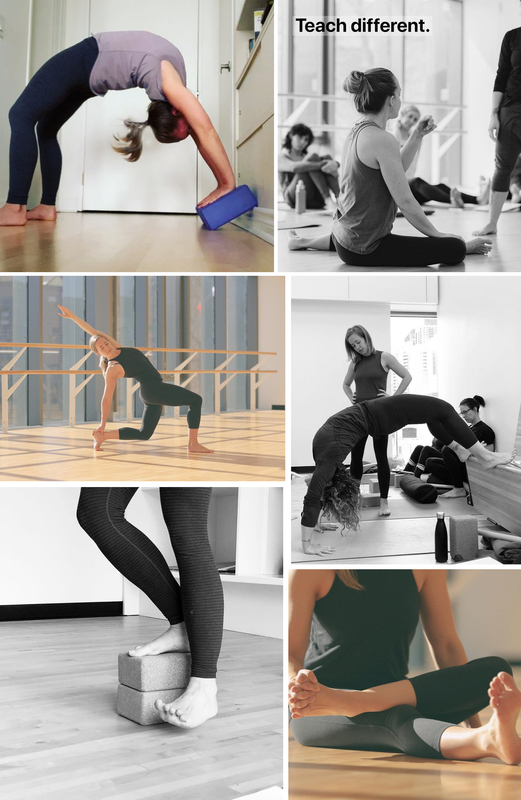 We’ve created a bridge between the asana practice (which I still love!) and other movement modalities such as strength training, mobility work and play-based movement styles. People often discover Yoga Detour when their practice feels stagnant – maybe they’ve got a few injuries, or they might just feel the need for more in-depth information. Sometimes they’re really disillusioned with their yoga practice, or simply looking to offer their students something a little different. The thing about the Detour method is that it focuses on human movement first, yoga second. We give people the information and training they need to move well in general—they can then apply that to whatever they want to do, whether that’s yoga, running, weight-lifting, rock-climbing or just managing day-to-day things with more confidence and awareness. This approach was born out of my own personal experience with injury following years as a dedicated Ashtanga yoga practitioner. When I ventured outside of the yoga community in search of answers and explanations for how my body became so imbalanced, I realised just how little I knew about movement and physiology. So much of my teaching up until that point was just a reflection of what other yoga teachers had told me was right or wrong. That dogmatic approach left me ignorant and in pain. I was determined not to lead my students down the same path, so I threw myself into continuing education for about 5 years. The information I gained during that period helped me not only recover from injury but also develop a much more robust and comprehensive understanding of how we’re all designed to move. So now I take that information and share it with as many people as possible through my classes, workshops and online trainings. Yoga Detour is part of a big paradigm shift and that’s pretty exciting. What are the key things that set you apart from other movement teachers today? I’d say two main things set the Detour approach from other trainings – the extent to which I integrate other movement disciplines as well as the dedication Yoga Detour has to critical thinking. In my own training, I’ve worked with amazing leaders in the movement community and brought their expertise into everything I do with Detour. I’ve studied with the Ido Portal team twice, and then went on to work with Gymnastic Bodies and Fighting Monkey to really round out my understanding of “movement culture”. I’ve worked with an incredibly intelligent, diligent strength coach one-on-one for the last four years while continuing to attend lectures with amazing minds like Greg Lehman and Gil Hedley. I’m also a Functional Range Conditioning movement specialist (FRCms) and spent a year studying Somatraining and ELDOA with Guy Voyer, DO. Because I consider myself to be a student first, teacher second, the integration of leading-edge information into everything I offer never stops. As important as exposure to new information is, so is discernment. That’s where the critical thinking part comes in. Asking why. Digging deeper. Not accepting things at face value. Being comfortable with uncertainty and “it depends” as opposed to black and white certainties. It’s not always comfortable to teach, or to learn, in that space of uncertainty, but I believe it’s far more productive than its dogmatic alternatives. It leaves space for growth, revisions and unending curiosity. We’re excited to host you for the workshops in May. Are these workshops designed for practitioners as well as yoga teachers? These workshops are open to everyone! They’re particularly useful for teachers looking to expand their repertoire, but anyone interested in deepening their understanding of human movement should attend. Every time I teach I see lightbulbs go off as people experience postures and movements in a new way for the first time, regardless of whether they’re experienced practitioners or not. As long as you can adopt a beginner’s mind, these workshops have a lot to offer. What can people expect to take away from your workshops here at Pure Yoga? People will walk away from these workshops feeling excited about everything they’ve learned, but also hungry for more. Each class will likely open a new can of worms and while we’ll definitely dive in deep to all of these topics, there will always be more questions. Think of this like the next step on the journey that will lead you to a whole other world of movement education – it’s the jumping off point that I think many students have been waiting for. Where can people find out more about Yoga Detour and the extra classes and workshops you offer? Check out our website www.yogadetour.com to see what else we’ve got going on. To get an idea of how I approach movement, follow Yoga Detour on Instagram (@yogadetour) or visit our Youtube channel (Yoga Detour). I look forward to practicing with your community soon!